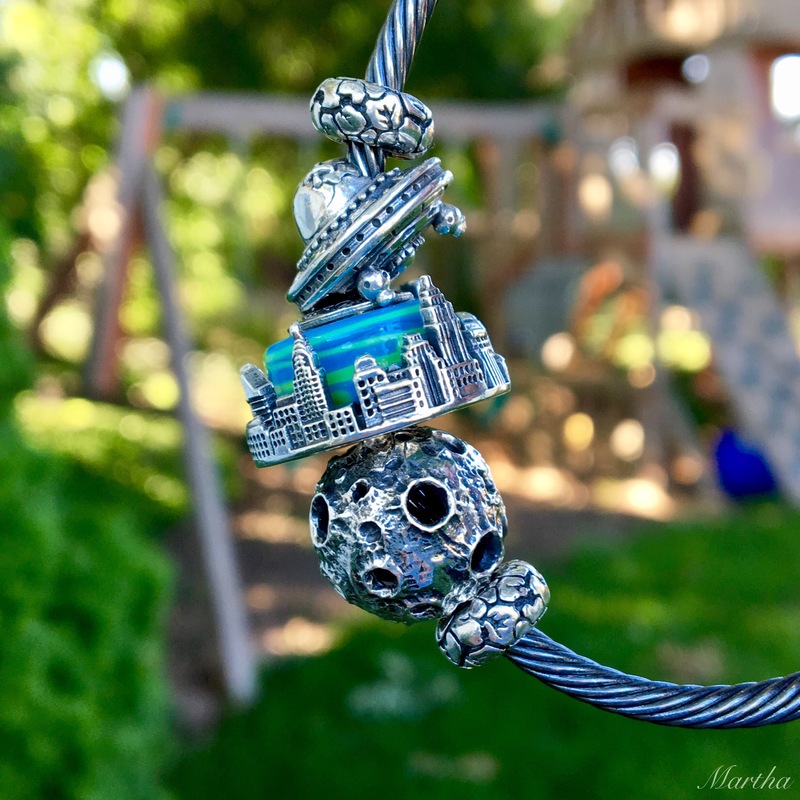 The Ohm Beads Panorama is a collection of silver beads with 360 degree skylines. They are something quite different to the bead scene and work on a ball necklace and bracelets as well. The cities represented are New York, London, Taipei, Sydney, Rome, Seattle, Amsterdam and Bangkok. They cost $85 USD/$105 CAN each. They are meant to be worn with a barrel shaped glass bead. Other beads will fit but I didn’t even bother take any photos with them, as the barrel shaped beads really are perfect with them. Next is London. I think this one is my favourite (I have 3). I really like how London Bridge looks! Lastly, here is Rome. I love the detail on the buildings here. Oddly, the first thing I did was to make a necklace based on the movie called ‘Independence Day’. 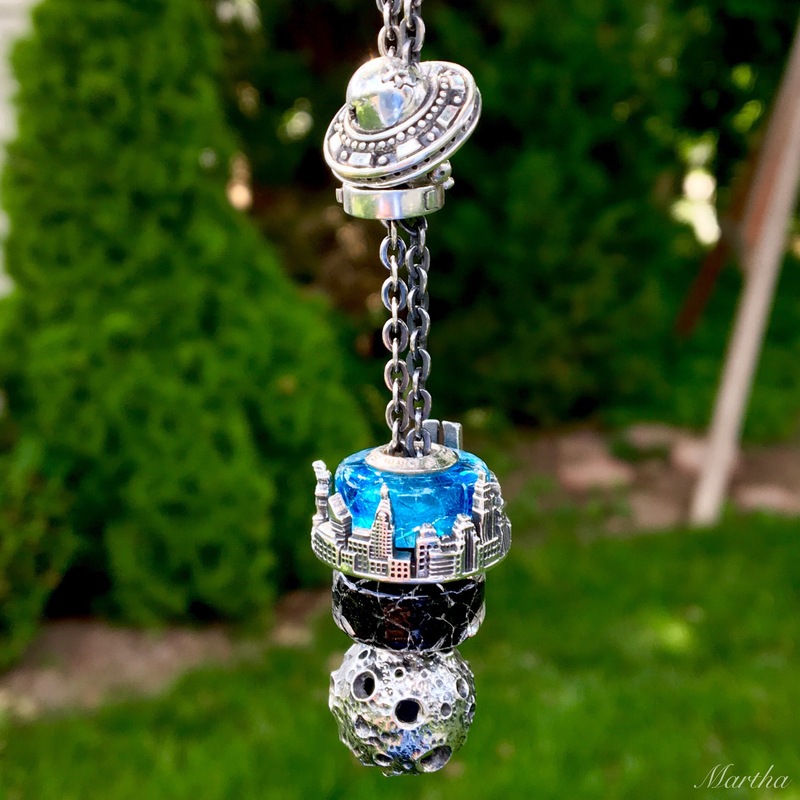 For some reason I pictured the UFO bead hovering over the NYC bead with Luna underneath to represent space. The black bead is called Dark Soul. This is a rather silly necklace, but anyway! I also tried making an Independence Day bangle. The glass bead here is called Thames. 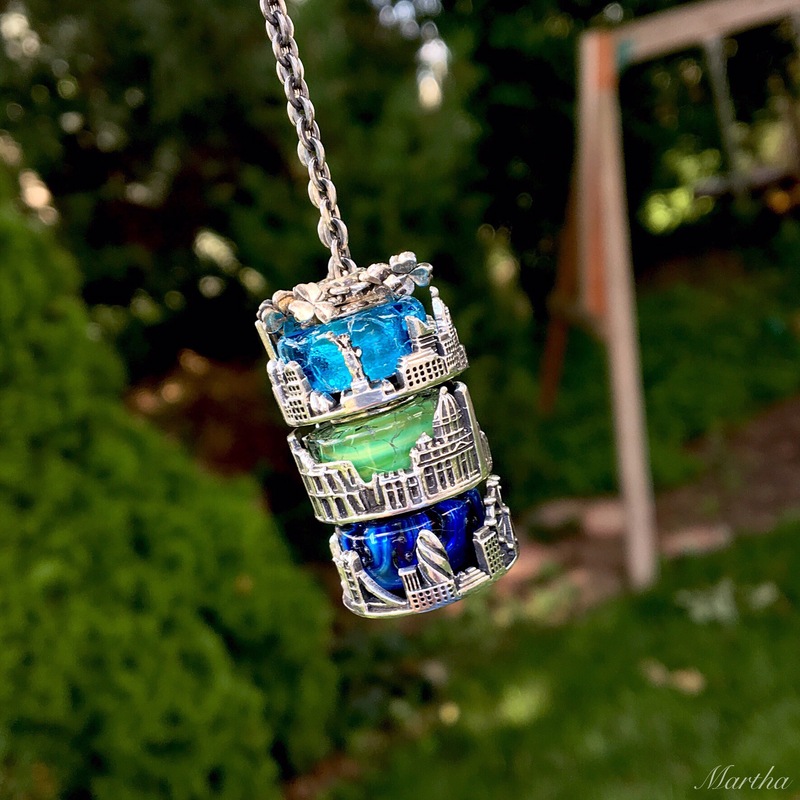 I absolutely love the Live bead on top of the London Panorama and Waterfall. 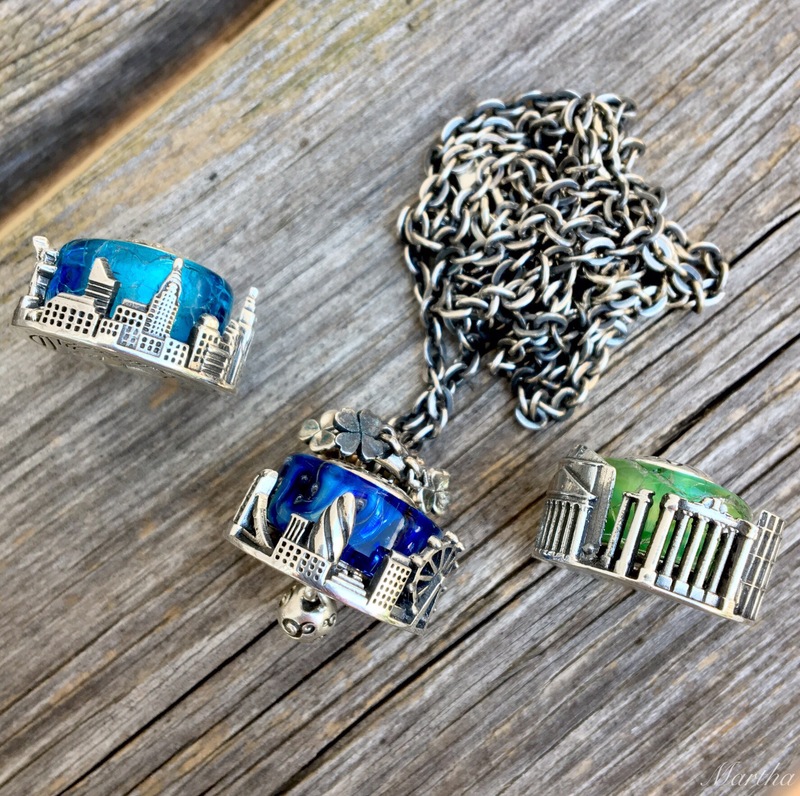 Using a couple of Blue Holes, I stacked Rome and London back to back on a bangle. I tried three on a bangle but thought it looked a bit unwieldy, but I really like two like this. During the school year I will likely wear just one Panorama at a time on the Ball Necklace. Here I’ve used Moving On as a little topper. All three Panoramas stacked together look pretty sweet. 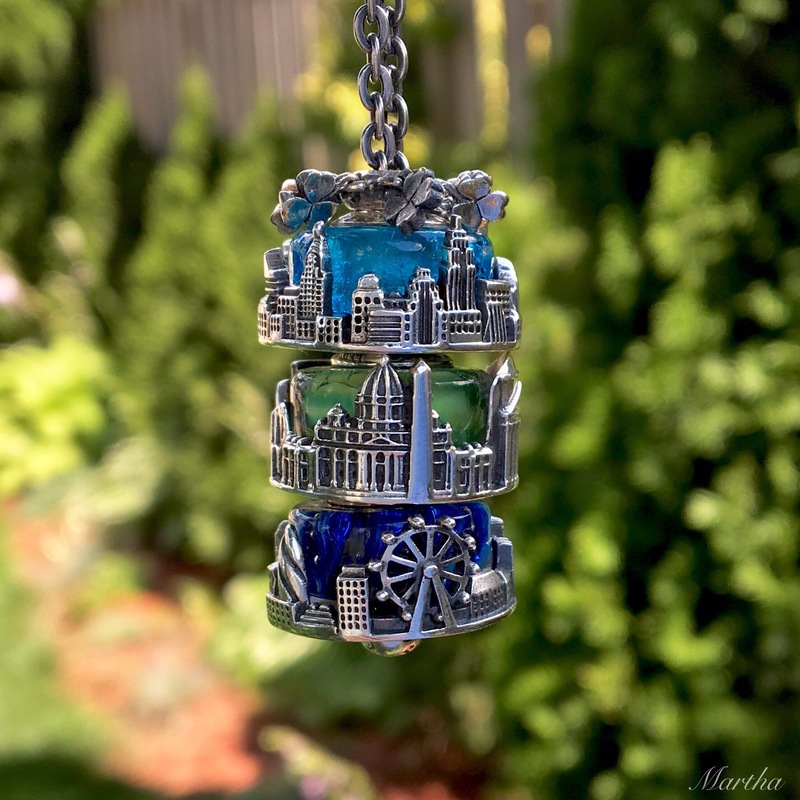 So, I really like these Panoramas and I know Ohm Beads has said that if they sell well they will make some more cities. I’m going to hopefully add another picture or two to this blog post later this week as I’m taking the NYC one to NYC and want to get a photo of it there. Otherwise I probably will take a break until after the Trollbeads store visit when I will post a lot of videos of that day. What are everyone’s thoughts about the Panoramas? Thanks Kim! It’s definitely hard to choose, especially if you’ve travelled to several of the cities. I think they will make great souvenirs. I really, really like the stacked look too! 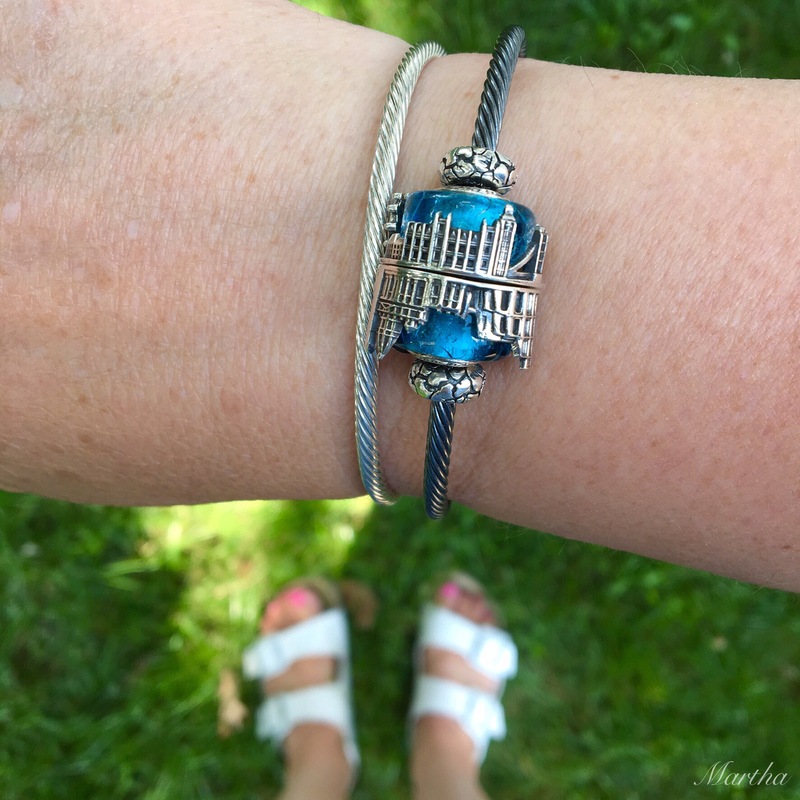 Hi Martha, I’m so happy that you show them on the bangle! I don’t wear necklaces and I just wasn’t sure the Panorama would work, or that I would like it, on a bracelet being that it would be sideways. 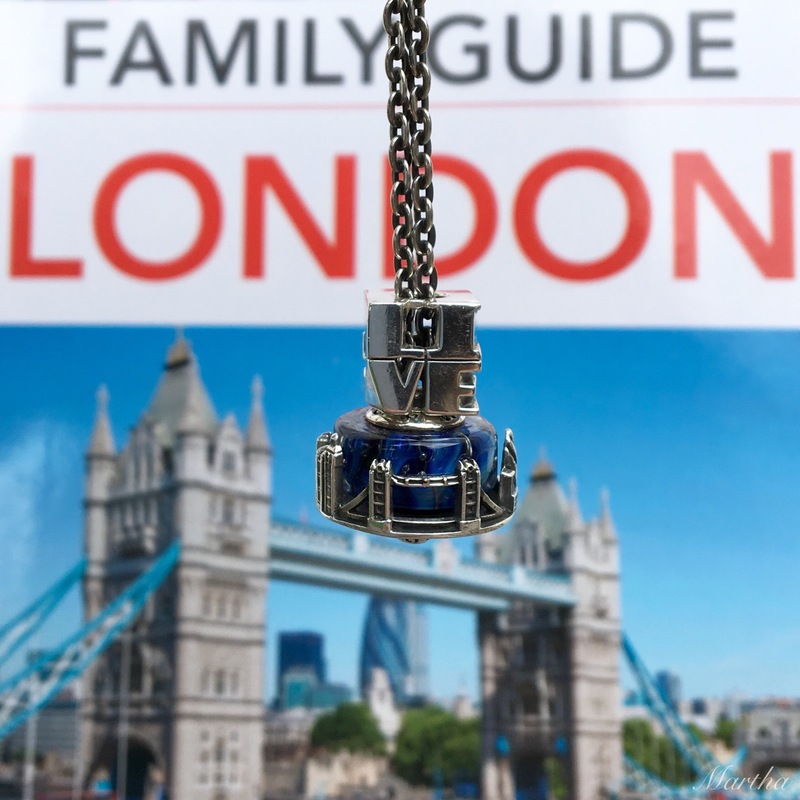 I really love how you have Rome and London together with the Blue Hole beads because it looks like a reflection in the water. I would really love to get N.Y. and Rome since I have been to New York many times and manage to get to Rome years ago. 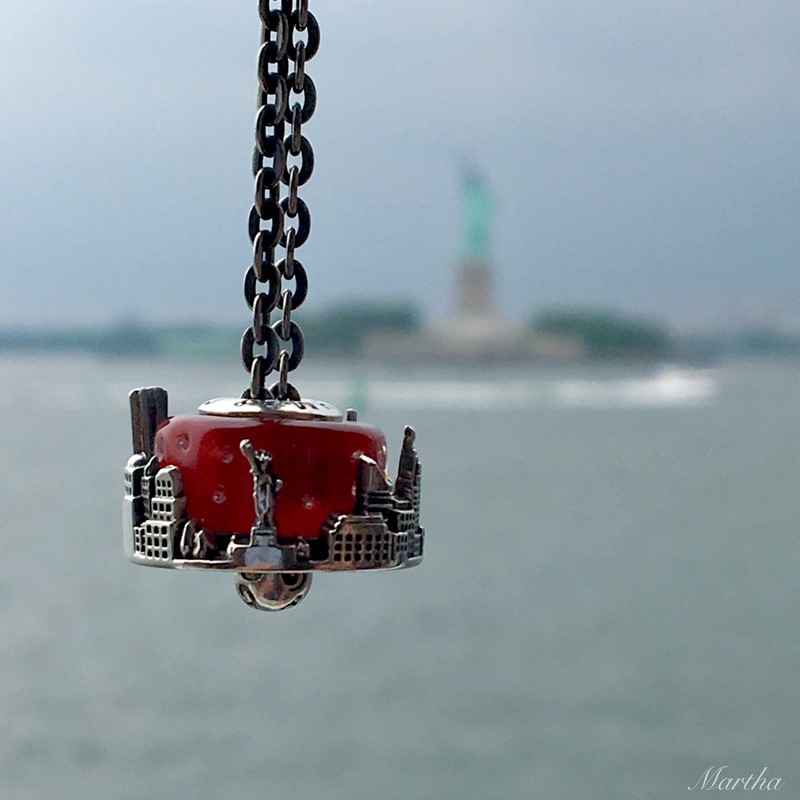 And I absolutely love your Independence Day necklace and bangle!!! Oh great! I’m happy that you liked the beads on a bangle, Suzanne. I like your thought about it looking like a reflection in the water! We hope to go Rome next year, as we’ve never been to Italy! I like the whimsy in your Independence Day themed accessories. I think someone with a dinosaur/reptile bead might be able to do some Godzilla type bead play. Oh, that’s such a cool idea!!! They are gorgeous! I am hoping to get Amsterdam and Seattle, the only U.S. city I have ever been to! Those would be perfect for you, Trudy!